Easter, celebrated April 21 this year, is the most important holiday in the Christian and Catholic faith because it is a day dedicated to celebrating the resurrection of Jesus Christ. Like most holidays, we celebrate by buying our loved ones gifts, and Easter is no different. We all know what an Easter basket is and you probably used to get them when you were younger. Maybe now you’re the one seeing the look on your child’s face when they wake up to a basket filled with eggs, candy and toys, but Easter isn’t just for the kids to enjoy. 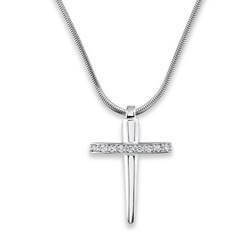 You can gift a special someone with jewelry this holiday to show them how much you care. Jewelry is a timeless gift that will last forever. This holiday celebrates rebirth and new life. 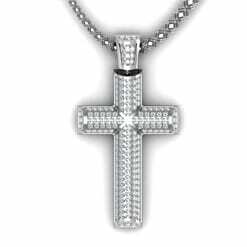 A stunning piece of jewelry is the perfect way to symbolize a new beginning or a restoration of faith. 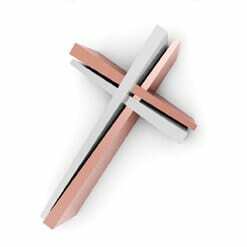 We have a few religious jewelry options like these , one-of-a-kind cross necklaces. 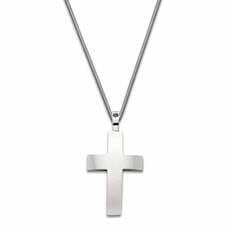 A cross necklace is the perfect piece to remind someone of the sacrifice Jesus made and to honor his resurrection. 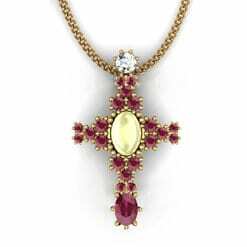 If you have something specific in mind, we can customize any piece of jewelry, which is sure to make a loved one smile. If you want to be creative, you can even put the piece of jewelry in a plastic Easter egg to excite their inner child. The only hard part is deciding which piece of jewelry you think they’ll love the most. Look through our website or come into our store to find the perfect Easter gift. In the rare case you don’t find what you’re looking for, remember that you can always have a custom piece made to be exactly what you want! Whatever you decide, we promise you can’t go wrong with an Easter gift as good as this one. Ready to shop? Cornelis Hollander Jewelry has been in the business of making memories for more than 30 years. Our award-winning designer jewelry is flawlessly engineered with bold, beautiful, sharp lines that either you or, if gifting, the lucky recipient is sure to love. Create something special by scheduling an appointment to speak with a Cornelis Hollander Jewelry Designer today at (480) 423-5000 or sales@cornelishollander.com.